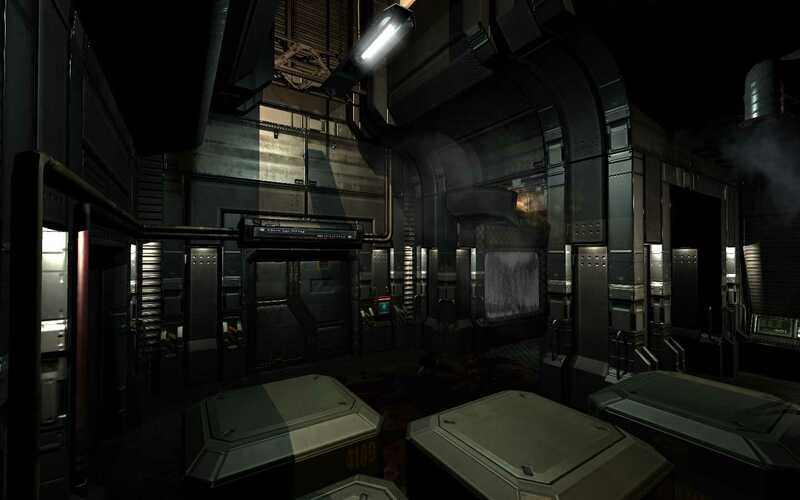 At the moment I am working on a 3 level Doom 3 project and figured I would share some of how progress is going on it. From what I can see from watching the video you've done a great job placing static meshes and lighting the place. It does have a smart BSB layout and it's more then just a standard left-right-left map. I have two critiques that I think would make the level improved overall. 1) Design for a purpose. 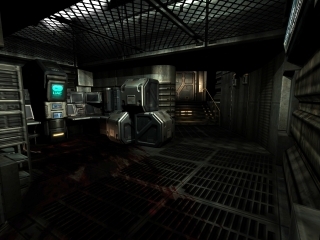 A good FPS layout has just as many rooms as it does corridors. And remember to make these rooms useful to the mission. If the player has to release pressure form coolant tanks and then has to hoof it back. Make rooms that he goes through is centralised around that theme. Icy rooms. Rooms with dozens of tanks. Control rooms with monitors and the like. 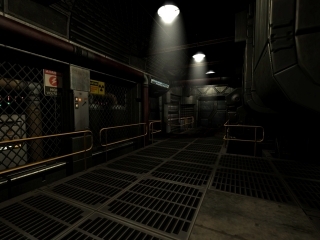 2) Atmosphere for a FPS level is critical. To that end. Space enemies apart and have them come in lots of numbers, make them come out of dark unlit areas. Drop them from the ceiling only a few feet from the player. Surround the player. Make them pop out form the floor. Anything to create the atmosphere that the enemy is out to get the player and not patrolling the hallways. But a great effort mate. I hope to see more soon. Nice start! Can you post videos of the other levels? Including sound would allow us to offer feedback on that aspect also. The fisrt thing I'd point out is to mess with your lighting, it's a little bright and quite flat throughout the entire level. But also offer some variety - there's an area with a yellow caution/warning light spinning around, there's no need for standard lighting to remain on - turn it off to make this light stand out, throw in some heavy music and bust up some vents with explosions. Have a couple spiders run by in a hallway, add a timer for the player to escape a certain area. Basically - build up your tension! You've a perfect area to go nuts on and to mess with the players mind: the four lifts. Do something other than a simple call for the lift (also make the functional one stand out more), but don't get stuck in cliches, try think up something other games havent done, or have done and just take it to that next level. Work on identifying which doors are locked or which ones arent - your friend obviously had some trouble there. One more shot for the moment, managed to get some work today since I'm all settled into the new apartment now. :) The lighting still needs refinement, the lights in the pillars are just placeholders at the moment and I want to make the light more intense near the skylight and fluro rather than being as even as it is at the moment.